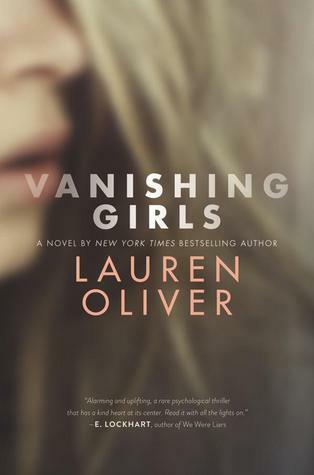 Sign into Goodreads to see if any of your friends have read Vanishing Girls. 52.38% "ohhh THAT'S messed up." Read 'Before I Fall'... That's my most fav book by Lauren Oliver :) Looking forward to read Vanishing GIrls too! Oh oh I want to read that one next! I FEEL LIKE I WILL LOVE IT. Cait Grace wrote: "Oh oh I want to read that one next! I FEEL LIKE I WILL LOVE IT." Yup, it's amazing! Read at least 2 chapters (it has 7) before making any decisions... The story becomes fantastic as it proceeds!